Celia Weiss Bambara is a dancer and choreographer with a Ph.D. from the University of California–Riverside in Critical Dance Studies, and she holds an MA in Dance from the University of California–Los Angeles. She is a dual citizen of the US and Burkina Faso and maintains a bi-national pick-up company in the Ivory Coast and North Carolina. Celia is an assistant professor of dance and the acting director of the Dance Program at UNC Asheville, where she has designed an entirely new hybrid dance minor and instituted an artist-in-residence program. She moved to Asheville in 2015 from Abidjan, Ivory Coast, where she taught as a professor of dance at the National Arts Conservatory (INSAAC). Prior to this appointment, Celia was a postdoctoral fellow at the University of Illinois at Chicago, where she taught between 2008 and 2011. She has also had the opportunity to teach at a variety of liberal arts colleges, research universities, and public schools as a dance artist. Celia is a practice-based scholar, and her work addresses the intersections of practice as research in contemporary and African diasporic dance. Her dance work has been shown in the United States, the Caribbean, West Africa, and Europe, at venues including Dancespace in New York, Links Hall in Chicago, Zacho Studios in San Francisco, the Drucker Center in Chicago, Praxis Place and Outerspace in Chicago, Institut Français in Abidjan, Goethe Institut in Abidjan, Alliance Française in Chicago, Jane Addams Hull House in Chicago, San Francisco at the Mission Theater, Claremont Mckenna College, Epiphany Episcopal Church in Chicago, the African American Museum in Cedar Rapids, Iowa, Occidental College, University of Southern California, the National Theater in Abidjan (CNAC), the National Arts Conservatory in Abidjan (INSAAC), on National Television in Haiti, in Trinidad at Alice Yard and the Republic of Sydenham, in Jamaica at the Caribbean Studies Association, Donko Seko in Mali, Flox Galleries in Kirchau, Germany, MJC Picaud Theater in Cannes, France, and at the Belk Theater at UNC Asheville. Her work has appeared in CIE Téné's Les Deux Terre Festival in (Cannes, France), Links Hall 30/30 Festival (Chicago), Afrik Urban Arts Dance Festival (Abidjan), Haitian Dance Music and Arts Festival (San Francisco), Un Pas Vers L'Avant (Abidjan), and the MASA (African Performing Arts) Festival (Abidjan). Most recently, her solo works have toured in Jamaica, Trinidad, New York, the Ivory Coast, Cedar Rapids, San Francisco, Chicago, Germany, France, and Michigan. Her site-specific dance works have been seen in Chicago at Doukan Arts Center and at the Silver Room Annual Block Party, in Trinidad at Alice Yard, and in the Botanical Gardens at UNC Asheville. She is currently engaging in other multi-media investigations, experiments, and installations, both locally and nationally. She has completed long-term contemporary dance-based projects in Abidjan between 2013 and 2015 and in Haiti between 1999 and 2003. Her awards include grants from the Puffin Foundation, the US State Department, the University of Illinois at Chicago (Postdoctoral Fellowship), the National Theater Center in Abidjan, the Djerassi Foundation, the UCIRA (University of California Institute for Research in the Arts) for collaborative work in Haiti, the BVAR, the Dance and Performance Institute (Trinidad), Donko Seko (Mali), and Ecole Des Sables Creative Residency (Senegal). Celia's movement research combines the base of Haitian dance with other African forms, modern/contemporary dance, yoga, and Klein Mahler technique. She recently began study of BMC (Body Mind Centering) in Asheville and is looking forward to pursuing deeper inquiries into this set of somatic investigations. She has danced for JAKA in Port-au-Prince, Martin Dancers and Ayizan in Los Angeles, and Rachel Thorne Germond in Chicago. She has collaborated with notable artists including Abou Bassa, Kimathi Moore, Djenane St. Juste, Christian Bambara, Dicko Yanogo, Jean-Luc Okou, and Florencia Pierre, among others. 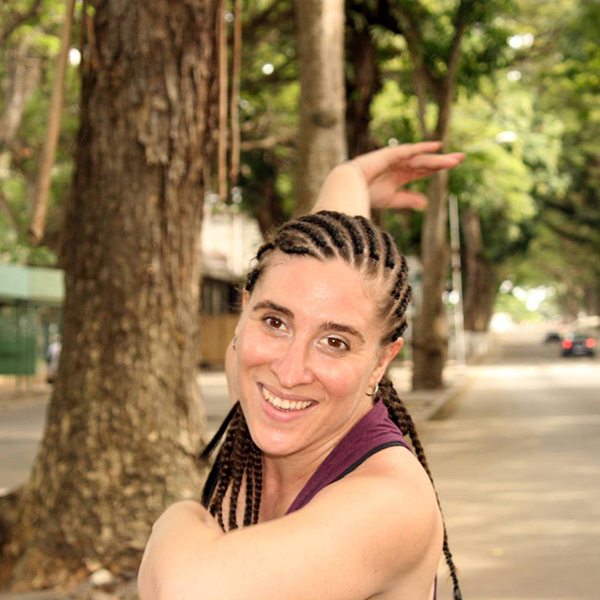 Celia has taught at INSAAC (National Arts Conservatory, Abidjan), UC Riverside, Occidental College, Glendale Community College, UCLA, Romona High School for the Arts, the University of Illinois at Chicago, and with Chicago Arts Partners in Education. She has taught Master Classes at USC, Occidental College, Grinnell College, UCLA, the University of the West Indies in Trinidad, and Denison University. Celia has also taught Haitian traditional dance, African contemporary dance, and improvisation/composition at cultural centers and dance studios in Michigan, Los Angeles, Iowa, Chicago, Santa Barbara, New York, Jamaica, Haiti, Tobago, Trinidad, Burkina Faso, Mali, and the Ivory Coast. The sites for her teaching include Dance New Amsterdam (New York), Donko Seko (Mali), Gateway Dance Theater (Des Moines, Iowa), Links Hall (Chicago), Rast Ballet (Chicago), Praxis Place (Chicago), Heartbeat House (Los Angeles), Shana (Port-au-Prince), Jaka (Port-au-Prince), and at the Ministry of Culture in Tobago, EDEC in Abidjan, Ecole de Danse Edit (Burkina Faso), and in Abidjan for the Un Pas Vers L'Avant festival at the INSAAC and National City Park, as well as at the Foyer de Jeunes (Dakar, Senegal) through Andreya Ouamba's CIE Premier Temps teaching initiatives in the community. Celia is a practicing yogi and teacher of yoga. She is 200-hour RYT certified through the International Yoga Alliance, and she has taught yoga in Michigan, North Carolina, Germany, Burkina Faso, and the Ivory Coast. She practices a mindful slow flow that is combined with somatics and adapted to the needs of dancing/dancerly bodies. She began practicing in 2003 after working on a choreographic project in Haiti and injuring herself while dancing on the concrete. After many years of study at Silver Lake Yoga in Los Angeles and through work-study at Moksha yoga in Chicago between 2006 and 2010, Celia decided to pursue her certification in Hatha yoga through the Sivananda Ashram in Grass Valley California. Her perspective on yoga is shaped by somatic study, years of professional dancing and choreographic practice, her developing personal practice, and yogic spirituality and mindfulness.